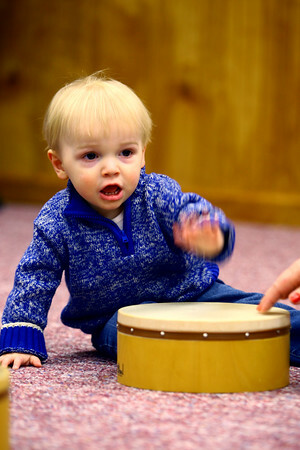 Kids with an adult participate in Musikgarten,an infants and kids music lesson program by a certified instructor Nancy Spahr. on Friday Jan. 30, 2015. Henry Mathews, 22 months, playing on the drum.